A California bill that has emerged from the #MeToo movement and is likely to increase employers’ costs and exposure in defending harassment claims will take effect on January 1, 2019. As briefly discussed in our October 2018 Employment Law Commentary, California Governor Jerry Brown signed into law SB 1300, amending the California Fair Employment and Housing Act (FEHA) in a manner that impacts employers in both the workplace and the courts. This Commentary discusses in more detail SB 1300’s changes to FEHA, the likely impact it will have on California employers, and the key issues defendants should keep in mind when facing harassment and discrimination claims brought by current or former employees under FEHA. Even before the rise of the #MeToo movement, California was one of the most employee-friendly forums—if not the most employee-friendly one—in the country for protections against harassment and discrimination in the workplace. Over the past year, the public and media outcry over high-profile examples of sexual harassment in the workplace have led numerous companies voluntarily to change their workplace policies and practices to protect alleged victims of sexual harassment. For example, some employers require employees to sign mandatory arbitration agreements requiring employees to bring any employment claims in arbitration, including claims of sexual harassment. Given the recent MeToo movement, such mandatory arbitration agreements covering sexual harassment claims have come under attack. Google and Facebook, two of the largest employers in California, recently announced that they would no longer require employees to arbitrate sexual harassment and assault claims. eBay, Airbnb, and others promptly followed suit. Still other California employers may soon face public pressure to carve out certain types of claims from their arbitration provisions. Absent an arbitration requirement, employees will be able to litigate their sexual harassment claims in a public forum, file claims on behalf of similarly situated employees based on allegedly common harassment practices in the workplace, and potentially use the media and other forms of public pressure to their advantage. Further, last month, in response to the allegations asserted against former Chief Judge of the Ninth Circuit Alex Kozinski, the Ninth Circuit announced that it had created a new position of director of workplace relations to address workplace harassment issues in its courts. With the Ninth Circuit taking this unprecedented step to prevent and resolve workplace harassment within its workforce, Ninth Circuit judges may very well expect the same from private employers appearing in its courts. It also can reasonably be expected that the California federal courts will take plaintiffs’ claims of harassment and discrimination even more seriously than before. SB 1300 is part of the California legislature’s efforts to ensure that as many California employers as possible provide more robust and expansive protections for their employees in the workplace. While many employers want to protect their employees against sexual harassment, SB 1300 greatly increases the potential liability from harassment and discrimination claims than ever before. Although legislative findings and declarations are generally not binding on courts, the California legislature’s largely unprecedented act of adding a standalone code section to FEHA for the sole purpose of expressing its understanding of the appropriate legal standards surrounding harassment claims may have more force than usual. 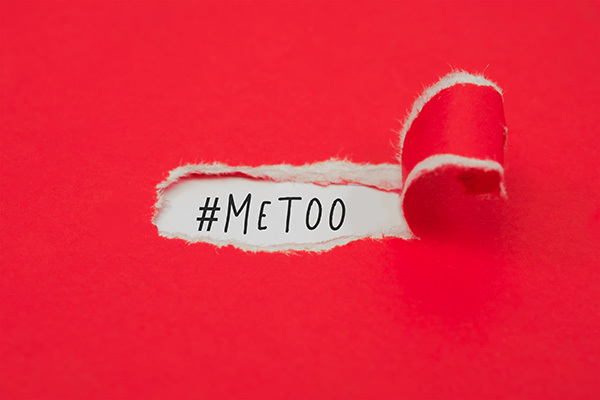 As we have seen over the past year, increased media, public, and legislative attention on workplace conditions arising from the #MeToo movement has time and again led to significant change. At a minimum, plaintiffs will rely heavily on Government Code § 12923 and the cases explicitly affirmed by the legislature in support of their harassment claims, especially when opposing summary judgment motions from employers. While a defendant’s likelihood of success in defending against harassment claims will, to a certain extent, still come down to the judge, arbitrator, or administrative agency official assigned to the case, it is hard to imagine how overall SB 1300 will not result in increased costs and exposure for employers facing harassment claims in California. Before SB 1300, employers could be liable for the acts of nonemployees with respect to sexual harassment only. SB 1300, however, amends Government Code § 12940(j)(1) to now expose employers to potential liability for the actions of nonemployees for all forms of harassment. In light of this change, employers should heed the implicit recommendations by the Legislature in Government Code § 12950.2 authorizing employers to provide bystander intervention training in order to motivate bystanders to take action when they observe problematic behaviors in the workplace. The development and provision of this type of bystander intervention training may be costly for employers in the short run, but also could result in significant savings in costs, time, and resources down the road by preventing the filing of lawsuits. Before SB 1300, courts were authorized under FEHA and California Code of Civil Procedure § 998 to award the prevailing party in a lawsuit—whether the plaintiff or the defendant—reasonable attorneys’ fees and costs, including expert witness fees. SB 1300, however, makes the award of attorneys’ fees now one-sided. Beginning January 1, 2019, prevailing defendants are prohibited from being awarded fees and costs unless the court finds that the action was “frivolous, unreasonable, or groundless when brought, or the plaintiff continued to litigate after it clearly became so.” Gov. Code § 12965(b). Needless to say, this is an extremely high standard for employers to meet to recover attorneys’ fees and costs, and SB 1300 therefore effectively eliminates the advantages to defendants of making Code of Civil Procedure § 998 offers to plaintiffs in FEHA cases. Finally, the impact of SB 1300 does not just extend to the courtroom. Beginning January 1, 2019, employers will be prohibited from requiring employees to sign either releases of FEHA claims or nondisparagment agreements, in exchange for a bonus, a raise, employment, or continued employment. Gov. Code § 12964.5. This prohibition, however, does not apply to negotiated settlement agreements between an employer and employee to resolve a lawsuit, administrative agency complaint, or internal complaint. Nevertheless, employers will have to ensure that their standard agreements comply with these new prohibitions, and can no longer take certain pre-litigation actions to try to avoid the filing of lawsuits by current and former employees. With SB 1300 taking effect on January 1, 2019, employers should think hard about how these significant changes to FEHA could impact the way they litigate harassment claims in California courts. Being less likely to prevail on summary judgment of harassment claims, employers may want to reconsider how they approach settlement with current and former employees bringing harassment claims under FEHA. Employers should keep in mind, however, that the 2017 Tax Cuts and Jobs Act passed by Congress amended the Internal Revenue Code so that no deductions can be made for either (1) settlements or payments related to sexual harassment or sexual abuse claims if they are made subject to a nondisclosure agreement, or (2) attorney’s fees related to such settlements or payments. But employers should not stop there. The best defense against harassment and other FEHA-related claims is to try to prevent as many problems from arising in the workplace as possible. With the increased costs of litigation that SB 1300 will usher in, employers should ask whether the harassment and discrimination trainings provided are sufficient, analyze whether their employee handbooks, internal complaint procedures, and other policies are sufficiently robust, and ensure that their agreements and business practices are in full compliance with SB 1300 and other recently enacted employment laws in California. Employers’ use of mandatory arbitration agreements also seems to be on the rise given the Supreme Court’s approval of the use of class action waivers. See, e.g., Epic Sys. Corp. v. Lewis, 138 S. Ct. 1612 (2018); May 2018 Employment Law Commentary. Google, Company Announcements: A note to our employees, available at https://www.blog.google/inside-google/company-announcements/note-our-employees/; Douglas MacMillan, “Facebook to End Forced Arbitration for Sexual-Harassment Claims,” Wall Street Journal, Nov. 9, 2018, available at https://www.wsj.com/articles/facebook-to-end-forced-arbitration-for-sexual-harassment-claims-1541799129. United States Courts for the Ninth Circuit, News Release: Ninth Circuit Announces Appointment of First Director of Workplace Relations, http://cdn.ca9.uscourts.gov/datastore/ce9/2018/05/21/R2_Judicial_Council_Workplace_Initiative.pdf. See, e.g., SB 820, SB 826, SB 1343, AB 2770, AB 3109.